Although I received a copy of Big Magic shortly after its release this fall while I was traveling in Greece, I didn't finish it until a quiet camping trip to Waimea Canyon last weekend. It just so happens that the copy that I was given I passed onto another, while I read the signed copy that I received at Liz's event in October. After carrying this hardcover around for nearly three months, what do I think? In general, I enjoy Liz's non-fiction writing. I connected her mistake, Eat Pray Love as well as Committed, which I read as I was going through a divorce. However, I was let down by last year's Signature of All Things. I struggled to get through it. I was apprehensive of Big Magic as well. There had been so much large-scale hype from the Oprah Tour to cover creation and the like, I was righty worried. However, I was proven wrong. She came back to me. Liz wrote what she knew best, which is her own creative process and those of her peer artists. She wasn't afraid to poke fun at herself or the common "suffering' writer or any creative role. The personal stories of rejection as well as not pursuing an MFA hit home for me as I'm an author. I didn't go to school for writing. I was going to be a bilingual doctor, but who really is doing what they went to college for anyway? I chose to write my story because playing with words is fun. Plus, I could inspire others and return to my role as a teacher without the confinements of the classroom walls. Liz breaks down creativity (or Big Magic) into seven parts. I would even go as far as to cut it by more than half, leading with Courage, followed by Persistence, and with the grand finale of Trust. It has to be something a little fearful or out of your comfort zone to be your greatest work. You must try, try, and try again from a different angle or timeline. Once your piece comes to fruition, you let it go and trust it will find the right audience. It may not be perfect, but yours. When I listened to Liz speak in Miami, I thought the combination of her own personal journey with fear coupled with her friend, the ice-skater was brilliant. I'm surprised that as such an afraid child that she would know her passion right out the gate. I surely didn't or maybe I was a late-bloomer becoming a writer in my mid-thirties. With various books, some huge successes and others not so much, I wondered what Liz would be up to next. 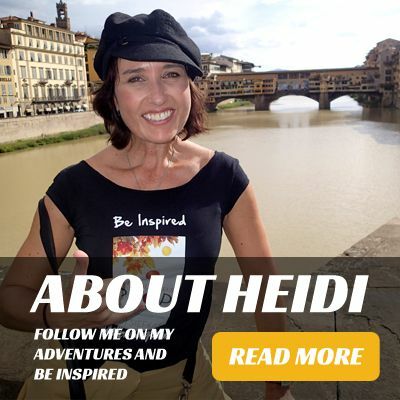 I asked her the same as I do all the readers of WIth New Eyes, "What is your next adventure?" Liz replied that she was working on a 1920's novel about call-girls in NYC. I though that it was really out there. That's quite a niche. "Whatever it is you are pursuing, whatever it is you are seeking, whatever it is you are creating, be careful not to quite to soon...Don't let go of your courage the moment things stop being easy or rewarding. Because that moment? That's the moment when interesting begins." I can attest to Trust and Courage in the journey of both of my books. Both are non-fiction so I was putting my entire self on the line as well as many, if not all, of my relationships on stage. After debating whether to write my story of Post-Traumatic Growth and then writing it, I came to a point where I doubted myself. Right when I needed to sign the paperwork to publish, I froze. After a long night of weighing my options, I chose to move ahead and interesting didi begin. Bravo Liz! If you're interested in transferring inspiration or creativity for another story, I'll be globetrotting once again this year. Perhaps our paths will meet and exchange stories. 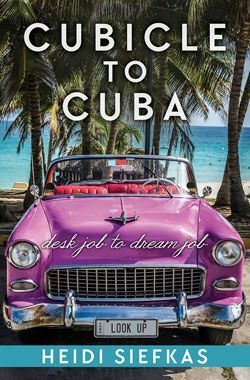 My project is about Cuba and my many travels. 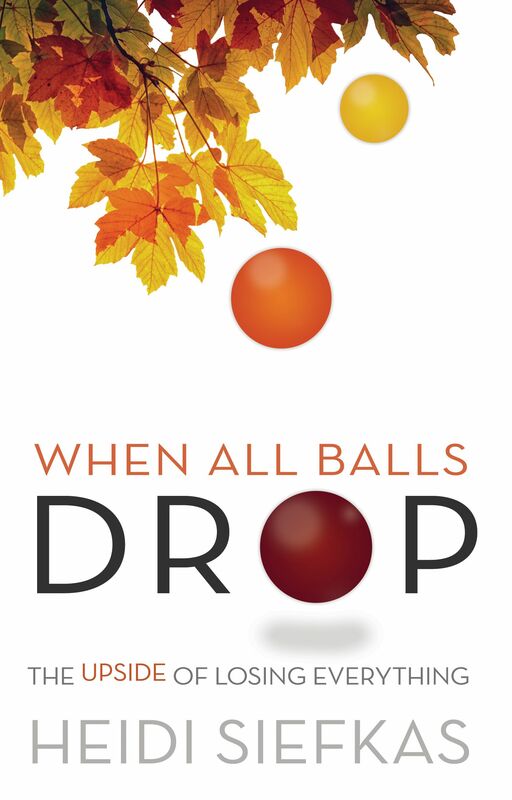 If you haven't already read my two books, grab a copies of When All Balls Drop and With New Eyes for yourself and a girlfriend.